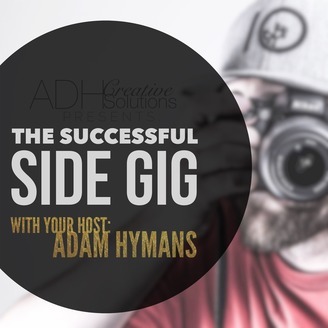 Are you working a regular ol' 9 to 5, trying to raise a family and also attempting chase your dreams by starting and running a successful side gig? Well, you have come to the right place to hear all about how to grow as an entrepreneur by learning tips, tricks and hearing practical advice from others who have already been there and done that! She was able to first hone in on her photography craft with friends and sorority sisters before she began to charge for her services. Brittany enjoys doing photography because it is all about self expression and helping others not necessarily just about the money. Don’t get caught up in other peoples businesses or Instagram feeds and try to find unique inspiration from other places or areas that are related to your industry. What's difficult about what you are doing? "I am tired, all the time!" Brittany will be a published photographer in a magazine by the end of 2018. "I just had to try something so, I had to get out there and shoot"
"If you are not going to do it right, don't do it. People are trusting you to create something they will love"
"I finally got to the point where I realized that my work is never going to be others work and I focused on finding my own inspiration and creating my own style"
"You can make it work! Its all about prioritization." "Photographers are around for a reason… Anyone can click a button but its not the technical side its all about the art, that’s where I come into play. 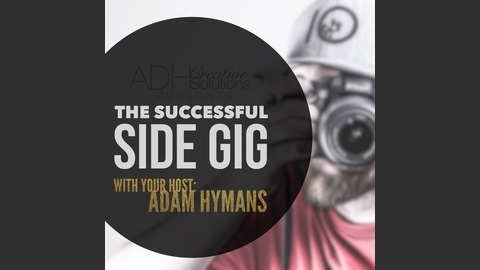 "Allow yourself to be obsessed with your passions"
If you have comments or ideas for future episodes please share those below in the comments or Join Adam and podcast listeners on The Successful Side Gig Network Facebook Group!